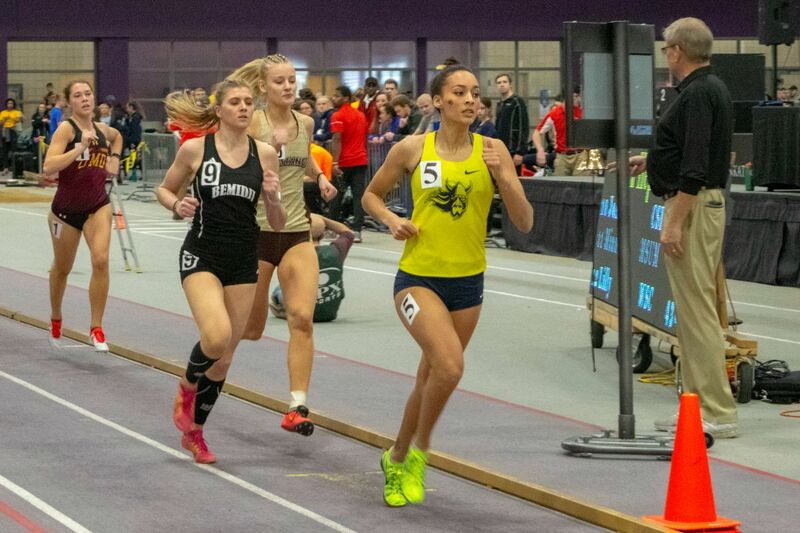 The Bemidji State University track and field program will travel West to University of Mary to take part in the Al Bortke Open Saturday, April 13. The Beavers start field events at 11 a.m. followed by track events at 12 p.m. at the Bismarck MDU Resources Community Bowl. Three BSU program records were broken at the Dutch Invitational April 5-6 in Pella, Iowa while the team took six first-place finishes throughout the two-day meet. BSU took second overall with 130 total points, 15 behind first-place Central College. Junior thrower Gena Baklund broke her own record in the hammer throw with a toss of 166-feet-4-inches while sophomore Venice Stewart also broke her own record in the 100m dash with a preliminary, first-place time of 12.07. Senior Christa Benson broke BSU’s 13-year-old record with a first place finish in the heptathlon, scoring 4,566 points and taking four event wins within the event. Joining the record-setting trio with first-place finishes in individual events included sophomore Jonae Bond who won the 100m dash with a personal record time of 12.57, freshman Ryne Prigge with a time of 4:56.57 in the 1500m run, and the 4x100m relay team of Bond, junior Jada Barker, Stewart, and freshman Beatrice Kjelland who finished with a time of 47.57. In total, 39 personal record marks were set while the Beavers recorded 31 top-five finishes. Bemidji State finished ahead of Northern Sun Intercollegiate Conference opponents Concordia University-St. Paul, Upper Iowa University, and Minnesota State University, Mankato.